Wow, No Country for Old Men was great; the suspense, the violence, the beginning, the end... it was all great. 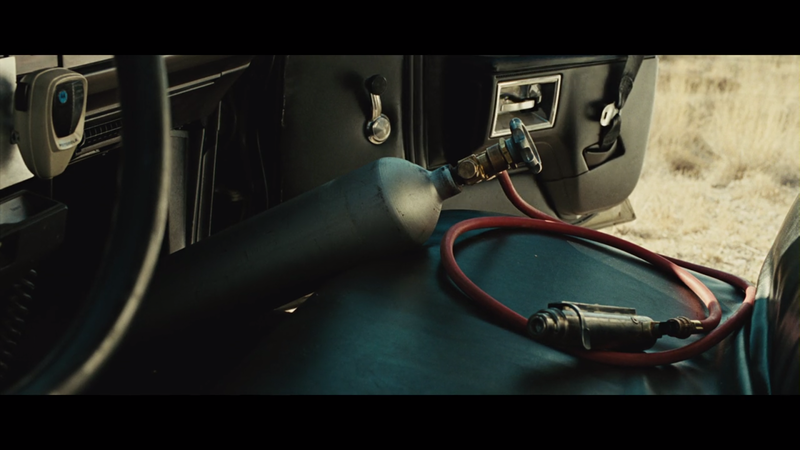 Oh, and I loved Chigurh's choice of weapons. The critical point of the movie happened at the 1 hour 15 minutes mark (a little over halfway through the two-hour movie). 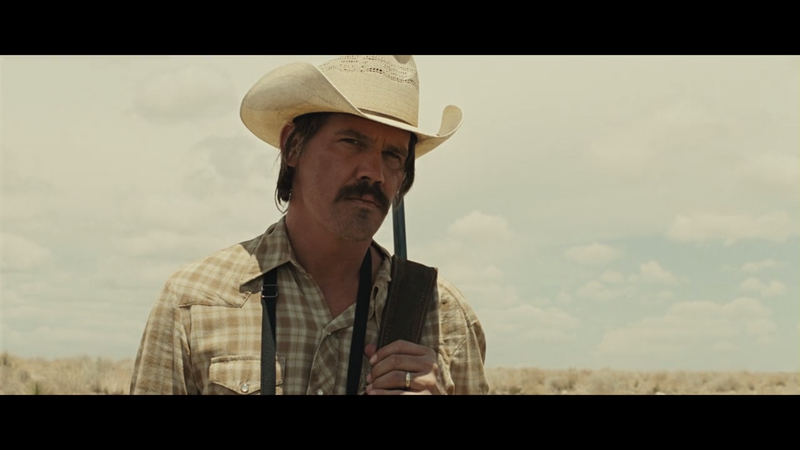 I was curious what caused Llewelyn (Josh Brolin) to return to the scene of the drug deal. Was it his sense of compassion? Was it some sort of guilt? In any case, the killing part of the story reminded me of The Departed (2006), but darker. 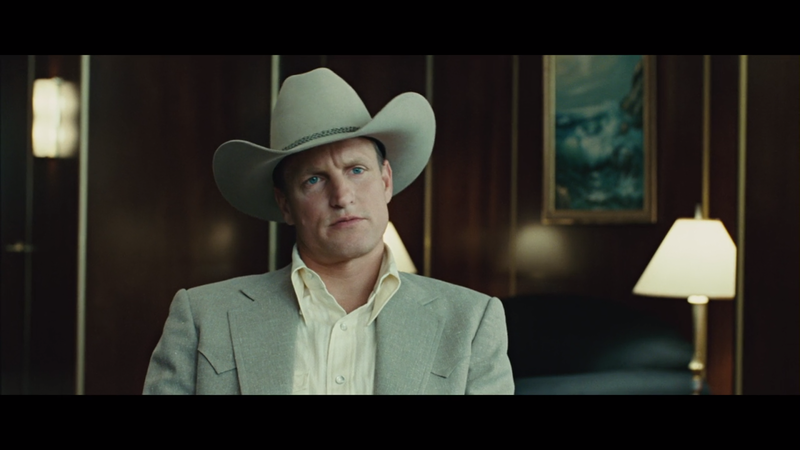 Of course the stories are completely different and The Departed (2006) is a remake of a Hong Kong film called Infernal Affairs (2002), while No Country for Old Men is based on the novel of the same name by Cormac McCarthy. Chigurh tends to his own wound. 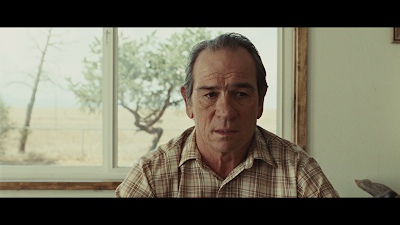 Out of the bonus features, I watched 'The Making of No Country for Old Men' and listened to 'Working with the Coens.' I decided not to watch or listen to 'Diary of a Country Sheriff' today. Though I should have done that instead of repeatedly listening to the (short) Bonus Features menu sound clip. Eventually I decided to listen to the sound clip that loops over the main menu; that one was longer and had some meat to it. In any case, if you haven't seen this movie, you should definitely watch it. On a side note, I eventually realized that Kelly Macdonald has a Scottish accent; I couldn't tell from her performance in the movie. That's as amazing as Hugh Laurie's American accent in House M.D. (Laurie is an English actor).